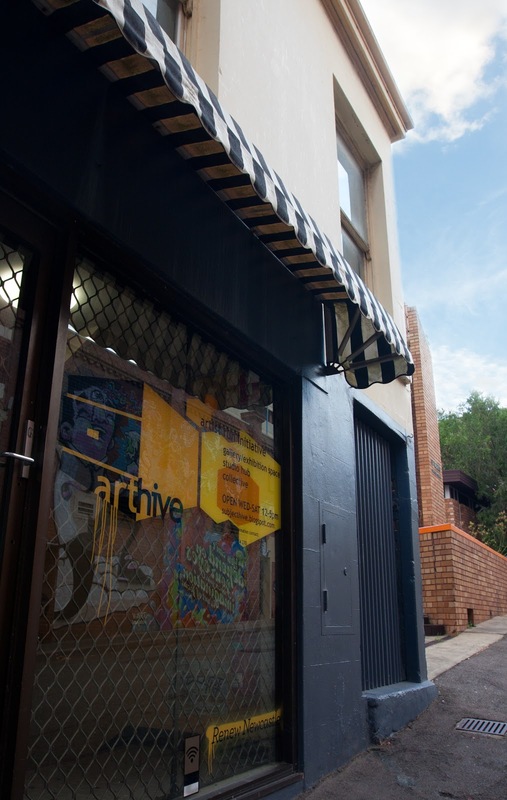 ARThive is an artist-run exhibition and studio space located in Newcastle's Hunter Street Mall. We offer a fantastic alternative space for emerging artists to create, experiment, develop, show off and sell their work. We have also hosted live music events, product launches, workshops, film screenings, artist markets, poetry slams, and heaps more. We typically operate on a rotating exhibition program and also maintain a regular collection of original art, prints, zines, toys, music, and other handmade wares available for viewing or sale. The Gallery is located in Suite 2 at 111 Hunter Street Newcastle, an approximately 10x5m space dedicated to showing contemporary artwork by emerging and established artists. Two of the lights don't work and the ones that do are inconsistent and dim, the floor is distracting, the windows are falling out and the paint is uneven in colour. We don't know how to fix any of these things, but we do think we know how to show you really cool art by really cool artists. The Studios are currently utilized by awesome dudes Grant Hunter and Sarah Mould. Throughout the rest of the building you can also find the artist studios of our neighbours Stu McDonald, David Hampton, Kate Parker, Sam Hughes, Carl Morgan, and Lara Schubert. How It All Began. As part of an Honours thesis into researching and establishing an Artist Run Initiative, Simone Sheridan founded ARThive ARI with fellow artists Grant Hunter and Angus Crowley in early 2009. They pitched an artist run gallery, studio and project space to Renew Newcastle, an initiative founded by Marcus Westbury that temporarily partners creative projects with abandoned and disused buildings in the Newcastle CBD. ARThive was fortunate to be accepted as part of the second round of projects and offered the fantastic location of 111 Hunter Street Newcastle in which the gallery still currently operates. Operating from a zero budget, the core group teamed up with original studio artists Nicole Chaffey, Jake Penn-Cullen, Sam Hughes, and Anthony Ferris, raising funds to purchase materials and supplies through a series of successful fundraising gigs and exhibitions, which enabled ARThive to renovate the neglected property into a great alternative gallery space which finally opened its doors to the public in June 2009.